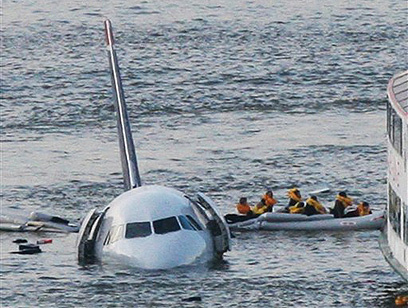 Who thought you could walk/swim away from a water landing? Well, now that we know you can, American Airlines has determined its planes don't have enough life rafts. The good news is they will limit passengers on flights until they get enough rafts on their planes. So all those years when I thought the flight attendants were full of sh*^t when they went on and on about what to do in the case of a water landing -- apparently management was in agreement. I suppose if Wall Street didn't learn from the Great Depression, why should the airlines learn from the Titanic?